Let's face it, regardless of how well the body is designed for impact the bottom line is that anytime you pilot your 928 you're straddling a half ton battering ram. (Jadz pics show it all) How can that not be a good thing? It would be interesting to see a 928 in a chain rear-ender. I picture seeing all of the cars in front and behind it looking like little ***** of crumpled tin foil, and the 928 occupants opening the doors, stepping out, and inspecting the front and rear damage to their shark. My '84 ROW does not have side impact bars in the door. Where did you find it became standard in '83? the line "Side protectors standard" - however, given the link from tv, I suspect I'm wrong and that refers to the rub-strips. All cars sold new in Australia (all makes all models) have to have side impact bars fitted in the doors , It's an Australian design rule requirement, I think it applied from 1977 or 78. All private imports since that date have to have them retro fitted (if they don't have them) pre-registration. Anything manufactured before the ADR date is OK without them. so all 928's in Oz "should" have them. Last edited by axis of evil; 01-09-2010 at 06:15 PM. He was doing 69/70 mph by GPS when he lost control. Note that the staved-in door is the driver's door too (UK car, RHD). Oh, the driver posts in the thread too.. post #80. Irrespective of what NCAP rating the 928 might or might not have, how many of today's cars do you think that driver would have come out alive in? Not many I suspect. That damage was caused by one hell of a lateral thump. If I was to repeat the crash I had in my late 1990 S4 when some chump on a mobile clipped my rear quarter when I was overtaking him, I can't think of another car I would rather be in other than a GTS with an air bag fitted that would have cushioned the impact possibly mitigating the broken lumbar vertebra that I suffered not to mention the whiplashed neck. US spec models had them before European peasantry! My 928 hit the concrete barriers at the side of the road about three quarters on at about 70+ mph. After recovering conciousness the door opened as though nothing had happened. There is only so much manufacturer's can do when they build a car and I reckon the 928 is as good as it gets. Side impacts happen but statistically, way less frequently I would think. "US spec models had them before European peasantry"
Only because the rest of the world was prepared to be told to wear seatbelts, because they save lives, and not argue that, this is the land of the free and the brave and we will not be told to wear seatbelts! So now the rest of the world has airbags and cup holders foisted apon it ! The trouble with safety is that you can't see it on a car in front of you. Engineers can design and test it, and hopefully, if you ever need it, it will work as designed and tested. But that's about it. Today they have much more advanced methods of designing and testing. They can even make small cars safer than older large ones. While the 928 was well designed and very safe for its time, I don't think it is still even close to the leading edge. 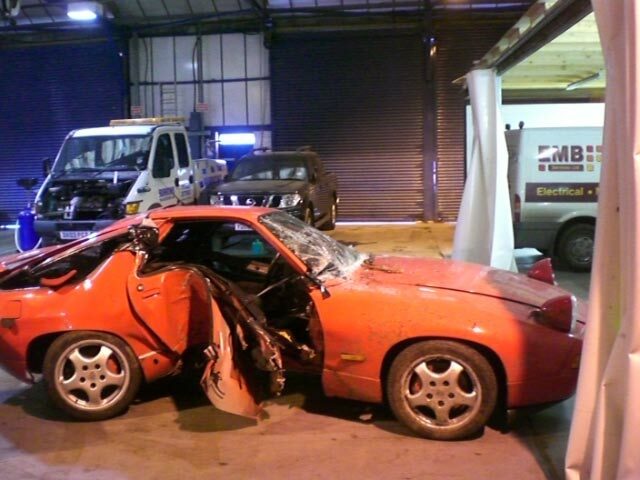 It certainly isn't when it comes to repair ability after a crash - most 928s are totaled even after minor impacts. So, let's be realistic: The 928 is a 35 year old design, and we have to admit to ourselves that advances have been made in the meantime that could not be retrofitted, such as high strength steel profiles for certain structural elements, or modular crash boxes (easier to repair). 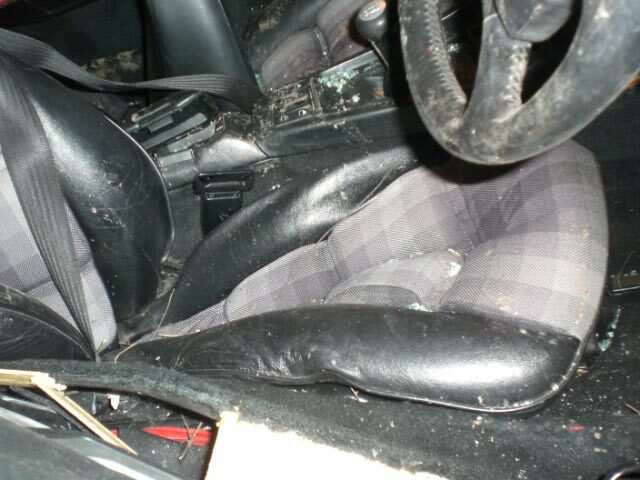 Others came-up too late to be feasible: side airbags, belt tensioners. 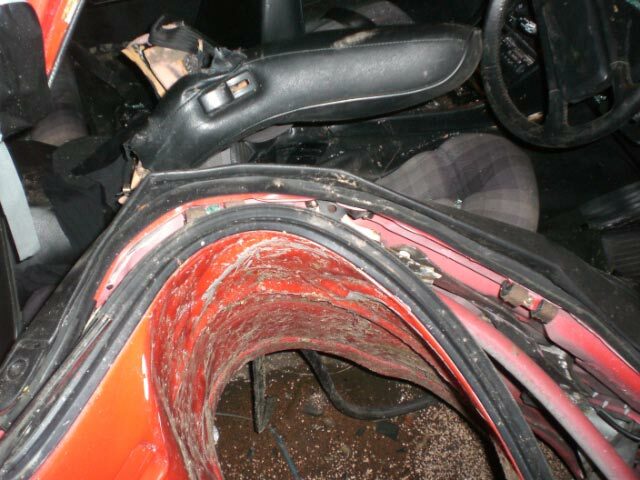 We have also seen some Ferrari's broken in half after high speed crashes where the driver literally walked away. That's more an effect of very low values than design of the car. If they were still six figure cars you would see many more repairs than totals. In today's dollars my '87 would sticker at around $140,000. It would take a LOT of damage to total that car if new. Of course they could be, but why would any one want to? You could just take the bars out if you wanted to do something like a cage to take its place.